We also bought a new frig as the one in our apartment was a crazy person one. 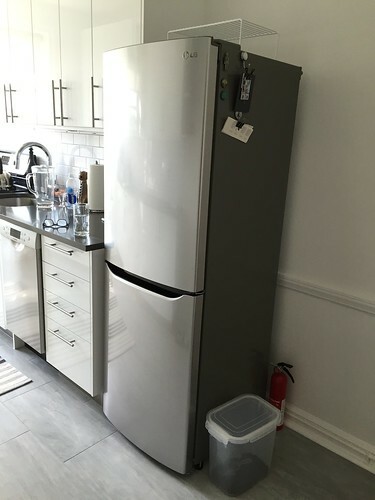 LG is one of the few reputable companies that seems to make a skinny refrigerator and we bought ours from Lowes. Why in the world are there not more smaller, skinny refrigerators for sale in NYC? Showrooms have these huge monster suburbs units and the few small ones are those super cheap (and super short) builder-grade units. 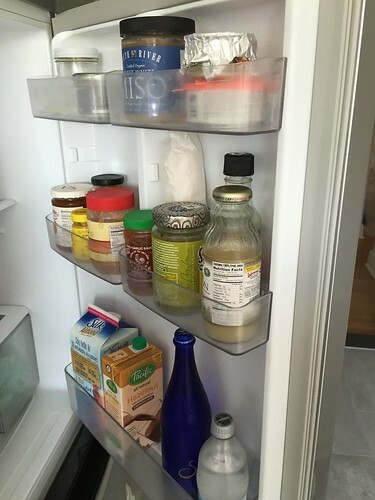 Are we the only New Yorkers who think having a tall and thin refrigerator is a good idea? It is handsome. LED lighting on the inside. A little bing-bong noise if you leave the door open too long. 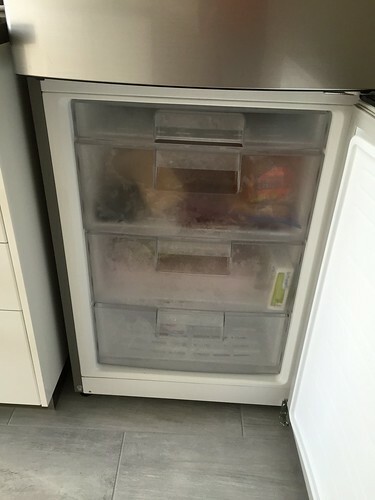 It is only 10 cubic feet, which is the standard size for a small frig, so we didn't gain or lose any space compared to the crappy unit we had. The interior shelves could maybe a bit more versatile - it feels like you could squeeze one more in. 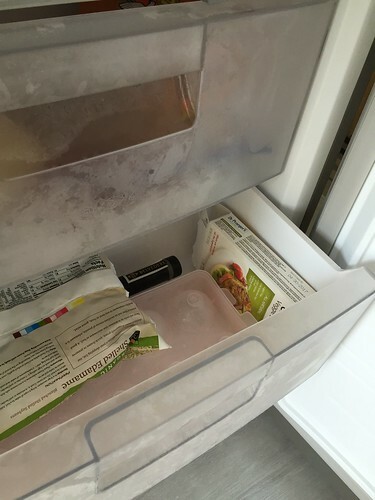 The freezer is a bit meh: there is a skinny drawer for your ice trays but it can be tricky to get to. The drawers have a bit of a clunky plastic feel (because they are clunky and plastic). All of that said, I like it. It keeps things cold and is handsome to look at. We've been impressed with Lowes from previous purchases: blinds, ovens, dishwashers, and our bathtub. The refrigerator was a bit of a letdown - experience-wise. - It's backordered. They tell us that it'll be a few weeks. It turns out to be close to four months. - We get updates from the local store that it's still back-ordered which is nice. At some point, their delivery vendor XPO gets involved and we three different calls over the course of two months saying that the item will be delivered the next day. We call Lowes to confirm. They either can't tell us for sure where the unit is or tell us that it will be delivered the next day. Upon calling the local store, they are able to shed light on things. So, when dealing with Lowes don't call the 800 number. Call the store. For real. I can't really stress how annoying and lame these ‘false alarms' were. I sat at home twice awaiting a refrigerator that never arrived. The cherry on top is when it actually arrives. They give me a time frame of 4pm-7pm. At 1pm, a delivery guy calls my office to tell me that he's at our apartment and wondering we are. "Well, it's a Friday, and I want to get home soon - can you hurry up and get here?" 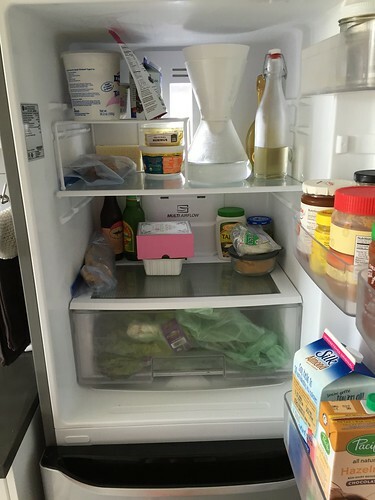 Hey you are one of the few I've seen post actual images of this fridge. I want to get in stainless like you got. Do you think it's stainless look is consistent with other LG products sold like their dishwasher, range, or washing machines? Sorry. I apparently haven't checked back on this. Thank you so much for the real life pictures. The size looks perfect for what I'm looking for and it's night to see some of the stuff I eat and drink in your fridge and freezer.